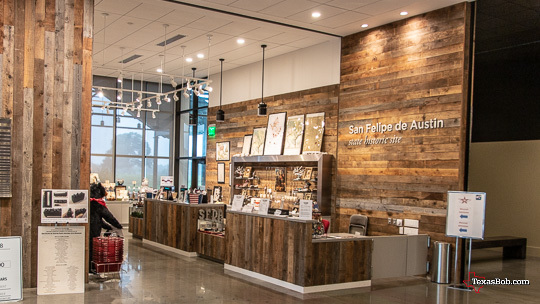 The long needed and much anticipated San Felipe de Austin Museum opened in April of 2018. I recently visited the museum and I was not disappointed. 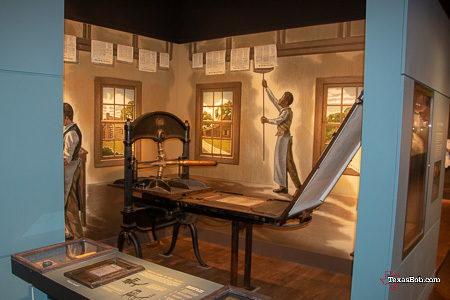 The museum is has many static displays, interactive displays and videos all designed to explain the history of the colonial capital of Texas, San Felipe de Austin. 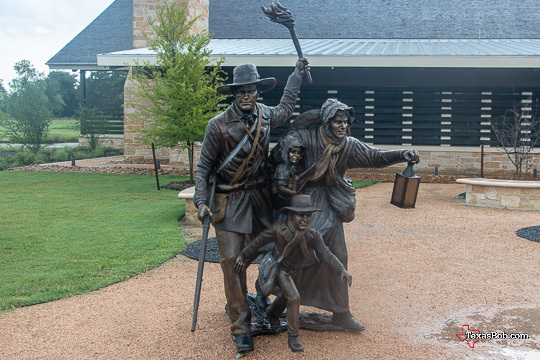 If it has been awhile since you visited the San Felipe de Austin Sate Historical Site, you would probably remember that the focus of the site was on the West side of Farm to Market 1458. This has been a historical site since 1928. There was The Josey Store, the oldest building left, built after the burning of San Felipe de Austin during the run away scrape in 1836. There is also a large statue of Stephen F. Austin siting. There is also a "Dog trot" log cabin and an obelisk honoring Stephen F. Austin. If this what you remember, it is time for you go back and pay the site another visit. All the things you remembered are still there but there is a lot more. The biggest difference is the opening of the east side of San Felipe de Austin including the museum on the east side of Farm to Market 1458. Also, there is a walking tour that points out the streets, businesses and houses and who live in them. The good news is, they are not finished. I would call San Felipe de Austin State Historic Site in active development. I plan on making a few more visits because things are changing and I have not seen all that they have done. It is an event center. The first time I visited the San Felipe de Austin Museum on July 4th there was a presentation by author, Bruce W. Clavey. He presented his book, "The Inquisition of Stephen F. Austin", to the enjoyment of all who attended. It is a narrative describing the almost Holmes like investigation of the prison cell that held Stephen F. Austin in Mexico City in 1834. What did he find out and prove? The cell is still there in Mexico City. To find out the rest of the story you will have to buy the book, which is available at the Museum Store. A few weeks later I visited the San Felipe de Austin Museum specifically to see a presentation presented by representatives of the Alamo historic site, the Alamo Foundation & the Texas General Land Office. The presentation was an overview of the restoration of the Alamo and the plans to enlarge the Alamo complex to its original footprint. The event was informative and well attended. The underlying theme was "Save the Alamo". There were also individuals there to share their personal Alamo related artifacts.